A lot of people tell me it is difficult for them to find motivation to work out consistently. I like to keep a log of my workouts so that I can track progress, see results, and encourage future workouts. In addition to the details of the workout itself, I usually write down how I feel after each workout. Even if it was exhausting and painful, I always feel good that I chose to train instead of slack off. Reminding ourselves of how we feel at a given moment can be valuable when you are unmotivated, sad, or in a rut. 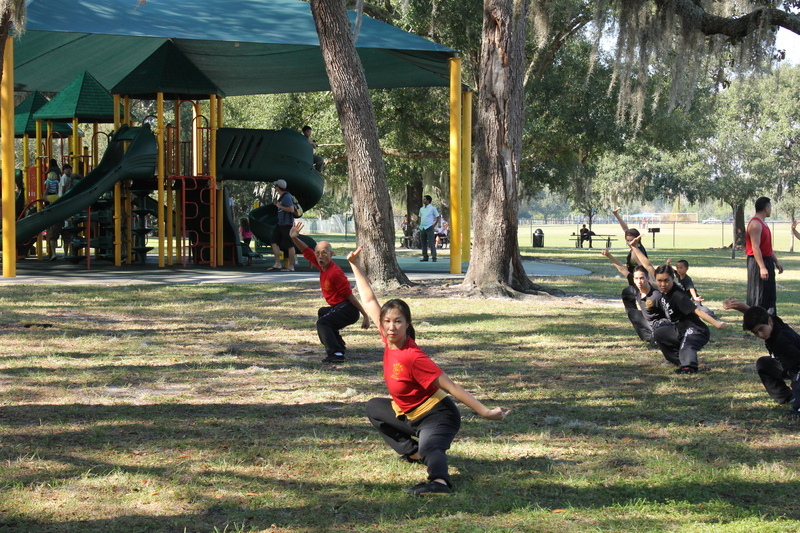 Kung fu is really hard work, but it is also extremely rewarding. I think I should have been writing down how I felt at the end of each film festival, because I often forget to enjoy the moment and have already moved on to the next festival strategy or goal. It is amazing to me how kung fu can be applied to everything I do. As the end of our public screenings and festival run nears, I am fortunate that I have photos to remind myself of how rewarding this journey has been. (since I didn’t write it down in a log) Although at times it has been painful (festival rejections) and exhausting (editing), it always feels good to screen for an appreciative audience. Just like it feels good to get through the workout! Kung Fu and Filmmaking go hand in hand….maybe not for all filmmakers, but definitely for me!